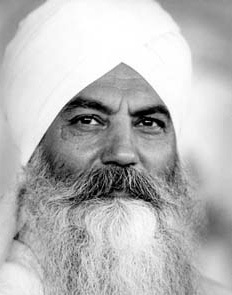 Yogi Bhajan, who brought Kundalini Yoga to the United States in the 1960s, recommended that all practitioners do sadhana, or daily spiritual practice, as a way of connecting with the infinite on a regular basis. Since Kundalini Yoga meditations have impact in as little as 3 minutes, sadhana need not be long in order to be effective. The key is consistency. Yogi Bhajan said it takes 40 days to change or break a habit. So then 40 consecutive days is the minimum time period for any sadhana. Sadhana requires a basic level of discipline, while building a higher level of commitment in the practitioner. A lot of people think that they need to study with a famous teacher or attend a retreat in a far-off exotic location to grow their spiritual practice. This is simply not the case. Real growth comes from an individual’s daily commitment to engaging in the practice. The most popular teacher, the most amazing retreat, will not be useful without that firm and grounded commitment to the practice day after day, whether sick or well, busy or bored. Doing sadhana means maintaining that spark of the divine within you. It will change how you feel, how you see yourself, and how others see you. But don’t take my word for it. Try it for yourself. And if you need to see the evidence, check out How God Changes Your Brain, by Andrew Newberg, MD.